Art afficianados who lack wall space or funds can collect small works on Etsy for a fraction of the price of standard format originals. 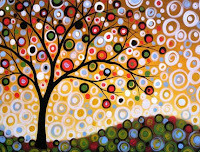 ACEO stands for Art Card, Editions and Originals. It is surprising how much punch a good artist can pack into an ACEO, despite its diminutive standard size of 2.5 x 3.5 inches. Whether you crave abstract or representational art for your own pleasure or to enhance your home, you can curate and create your own personal miniature art gallery by collecting ACEO originals and prints. Click on the pictures to go directly to these Etsy Listing. Prices range from $3.00 to $15.00. 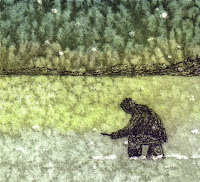 hey, thanks for including my ice-fisherman in your collection of aceo-s. they are all so unique and beautiful!! I just got a chance to visit since we got back from a quick trip and what a collection of great works that I might have missed on ETSY, This manner of focusing on a few wonderfully select pieces at a time is really productive! All the works are soooo unique and well crafted. I will visit the shops this week. Thanks so much for including my artwork in this beautiful collection! WoW! I'm so happy that one of my miniatures is included. 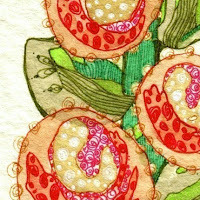 These ACEO's Rock! I like the way they all look together, too. They'd make an interesting, beautiful assemblage on a wall. 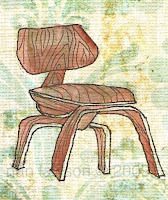 Thanks for including my Eames ACEO! 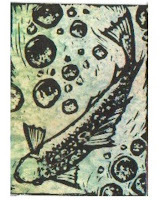 Thanks for including my Trout Linocut in this fantastic collection of ACEO's. I'm so proud to be included in such fine company. It is a pleasure to look at the work presented here. Thank you. Its so wonderful to be featured with such beautiful Art works. You find the most wonderful things! I found many new favorite items and artists. Thanks!! That's great, Chris! I love to hear that people are discovering new artists here.